Who wants to live in a writers’ retreat like this one? Love it! I think I already live there. “Procrastination Patio”? lol. That is funny. Well, admitting it IS the first step. 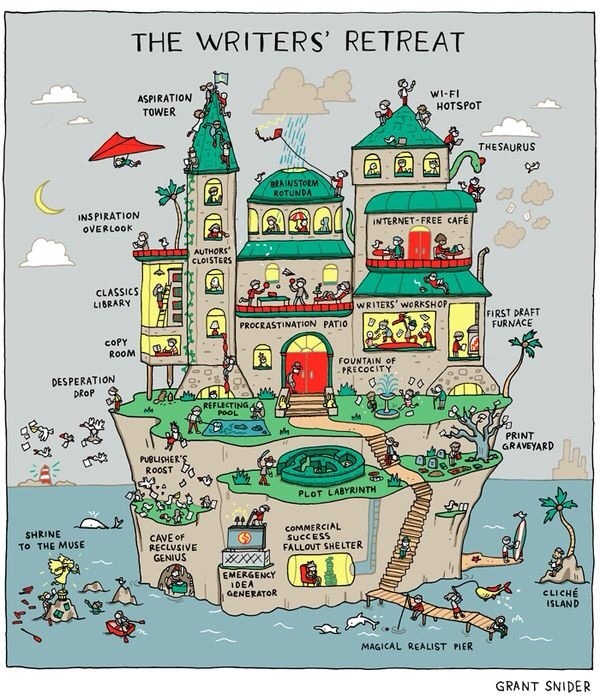 Love this, particularly the illustration of the writing workshop! The slush pile is missing, though…. Had to reblog this, the photo is just so awesome.